Help! I'm More 'Conscious' Than My Partner! Help! I’m More ‘Conscious’ Than My Partner! When you go on the path of personal growth and spiritual evolution, you are signing up for the ride of a lifetime. But what if that special person in your life, your partner, didn’t sign up for the same journey? What do you do if one person in a relationship is growing, doing all the spiritual and personal work, while the other just wants to stay as they are? Episode 55: Are You Seeking Unity? I have just come back from being in the US for the past few weeks, and just a couple of days ago I did a live event in Santa Monica L.A with my wife and our beautiful friend Sahara Rose, focused on conscious relationships. 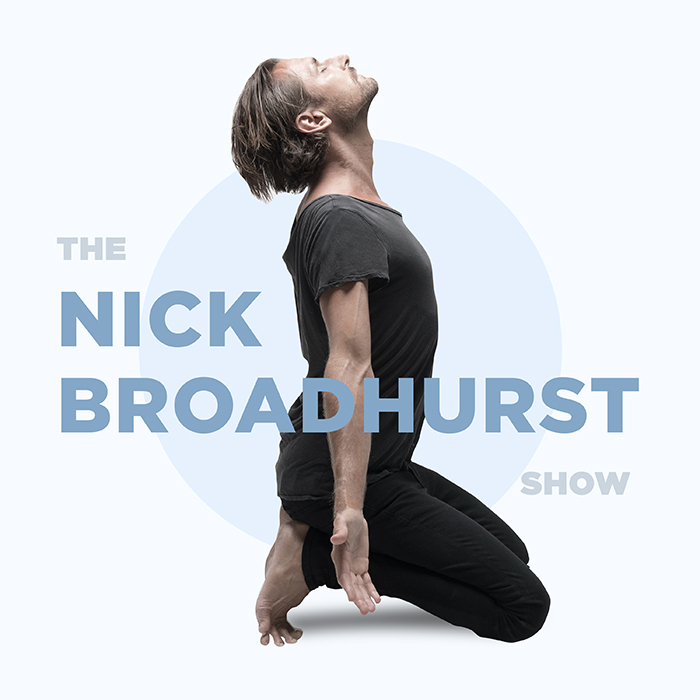 We are going to be releasing the event soon as an online masterclass, so make sure you head to iamnickbroadhurst.com/relationships and enter your email so you get notified when it’s available. There was so much gold in this! I can’t wait for you to see it! At this event there was a beautiful woman who has been in a relationship for the past 5 years, and while she loves her man, he thinks all the personal development work she is doing is “woo-woo” and she just doesn’t know how to move forward with a partner who wants to maintain the status quo and refuses to do any work on himself to ‘be more’. Now, first of all, I have to say that I am putting a self-imposed ban on the word ‘woo-woo’. The woo-woo is true-true my friends, so why do we belittle and degrade that essential part of ourselves? Our spirituality is all there is! Anyone who does not identify with their spirit is denying themselves the most beautiful opportunity in this lifetime to discover their essence, which is love. And personally for me, that’s not the life I want for me or for anyone listening, so let’s do all of us a favour get rid of this word? Deal? Imagine you are standing back to back with your partner and you are connected by a rubber band around your waist. Your partner is very content standing right where they are and has no intention to become a better version of themselves. But you are different. You want to grow, so you take one step away from your partner who is rooted in their status quo and unmovable. With one step you feel a bit uncomfortable. You can feel there is no longer as much unity as there used to be. But that’s not enough to stop you on your journey of personal growth and evolution, so you take another step away. Now you can really feel that rubber band. The tension is present all the time. Then you take another step. Things are getting very tense. The distance between you is getting more and more obvious and the tension from the rubber band has turned into pain. You take another step and the pain intensifies. Your partner is still standing firm. You continue on your path until the pain is so great that something has to give because you are acutely aware you are being held back. At this stage one of two things is going to happen. Your partner is either going to get slingshot back towards you where there is unity again and they too go on this path with you, or the rubber band is going to break. This dilemma of being in relationship with someone who doesn’t want to do the real work that we are all here to do is something that comes up all the time. There are a few ideas I want to share with you which may shed some light on this. If this is your current situation then I hope this helps you move forward. Or you may know someone who is caught up in this, so please share this episode with them. The first idea is about respect. When a partner belittles your desires to express yourself in this lifetime to your fullest capacity by doing all the work on your mind, emotions, body and spirit, then what you have is a simple case of disrespect. Let’s not sugar coat things. This is just plain disrespect in all its glory, and while we are all entitled to our opinions, what we must have in all relationships, romantic or not, is respect. In this case, you need to practice CCC, crystal clear communication, which is something my wife talks about in her book Open Wide. Sitting down with your partner and telling them, from a place of love, that this behaviour is not acceptable to you and does not align with your core values, will very quickly show them you are serious about the work you are doing, and that it’s not some ‘phase’ you are going through. This basically draws a firm line in the sand with your partner. But you also need to make sure there is no ‘projection’ in this situation. It’s easy for those of us who are wanting to evolve to judge those who do not, so make sure there is no judgment or belittling from you towards them for not wanting to do the work. This leads me to the next idea, which is to ‘be the example’. In all relationships, we have one very powerful tool at our disposal… ‘being that which you want to see in the world’. I speak about the concept of ‘seaking unity’ in episode 55. When someone is trying to drag you into their level of feeling they are simply seeking unity. If your partner is acting in a way which is holding you back, then it’s important to recognise this is not wrong, because there is no such thing as right or wrong. It just is what it is. But it’s up to you to decide if you are ok with being held back. Relationships offer us the greatest opportunity to grow. It’s a beautiful container which you can use to accelerate your spiritual evolution. But what do you do if you are being the example and practicing CCC, yet nothing is shifting? Let’s not over complicate things… you accept it or leave. If you truly feel you have done all you can, but the discomfort of being held back is just too great to bear, then staying in this situation is just insanity. As Einstein said, “The definition of insanity is doing the same thing over and over again, but expecting different results”.